Sabadosa’s two bills, which would reduce the expense of abortion care and expand medication abortion access to public universities, could surpass both the Roe protections passed by Democrats in New Yorklast month and Oregon’s reproductive rights laws, often considered the gold standard in abortion protections, activists said. In addition to making private health insurance providers cover the cost of abortion care, Oregon pays for undocumented residents to receive abortion care. 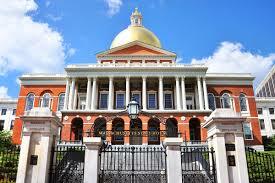 Massachusetts lawmakers expect Gov. Charlie Baker (R) to sign off on all three bills. Baker has opposedthe Trump administration’s anti-choice policies and has supported the right to abortion care.